In Local services we received 284 responses. The Friends and Family Test Score is calculated using the proportion of patients who would strongly recommend a service minus those who would not recommend, or who are indifferent. This quarter in this area it was 92 . This compares with 97 in the previous year. The table below shows the percentage of responses from the comments received to the question 'If you could improve one thing about the support you received what would it be?' We received 205 responses to this question this quarter and 84 in the previous year. 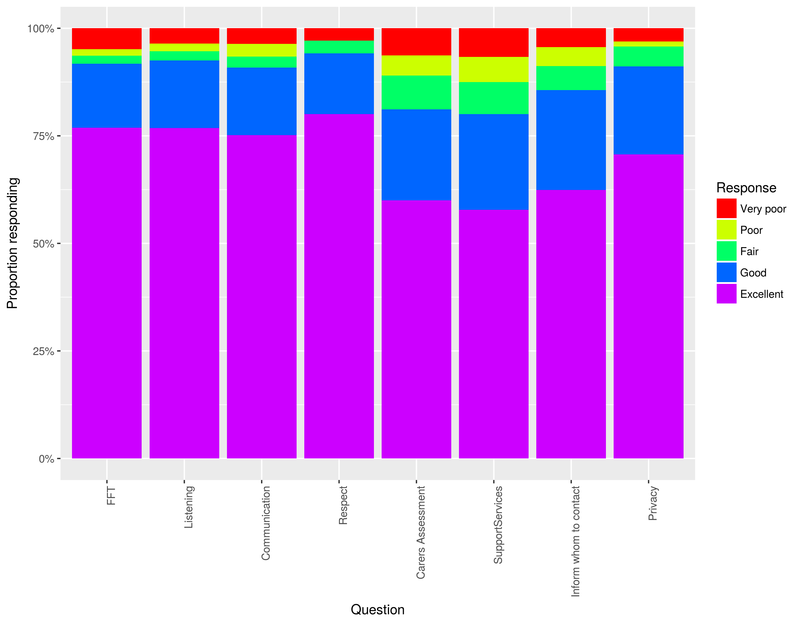 The table below shows the percentage of responses from the comments received to the question 'What was the best thing about the support you received?' We received 405 responses to this question this quarter and 198 in the previous year.